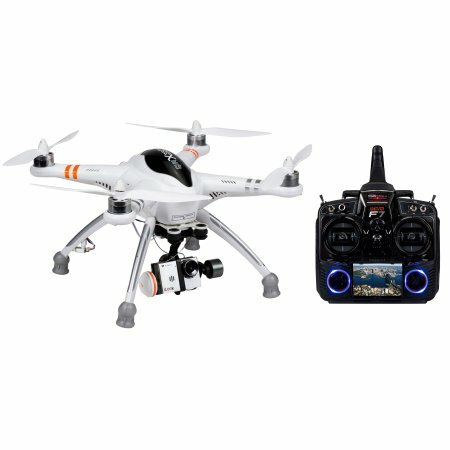 The Walkera QR X350 Pro Quadcopter is a top of the game drone. The pro version really is better than the original version and has improved many flaws from the original one. If you are an experimented drone user or you’re just a beginner the Walkera QR X350 Pro would be a very good choice for you. 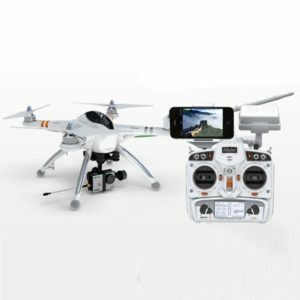 This drone features a sensor that detects the altitude and has a GPS receiver onboard both things helping the drone to remain stabilized helping you to get clear pictures or videos. It is easy to set-up, easy to fly and calibrate. Apart from the original version the pro version has more durability, better design and stronger wire connections. The drone transmitter features a GPS system that allows the drone to access satellite information and helps the drone to return back to you if it flights out of the range or with a push of one button the drone will return back to you. If you get the Devo F7 version controller it will let you to see in real time the video streaming. Probably the major downfall of the Walkera QR X350 Pro Quadcopter sis that it doesn’t have a built in camera so you have to buy a separate camera which will only add more money to your costs. The other downfall is that the gimbal is pretty hard to connect since the screw are so small, so you will need to be more patient when installing it. The drone is made of plastic and carbon fibers, its dimensions are: 289 x 289 x 200 mm and weighs about 2.97 pounds (1.3 kgs) and has a payload capacity of 200 grams. It can reach pretty impressive speeds (up to 45 miles/hour or 72 kilometers/hour), when the battery runs out of juice it will need an hour to fully recharge. So, in the end we can see that this drone is pretty capable and is pretty high quality, pretty much all drone enthusiasts must try it and the price for this one is about $580. Fore more reviews, check us out !